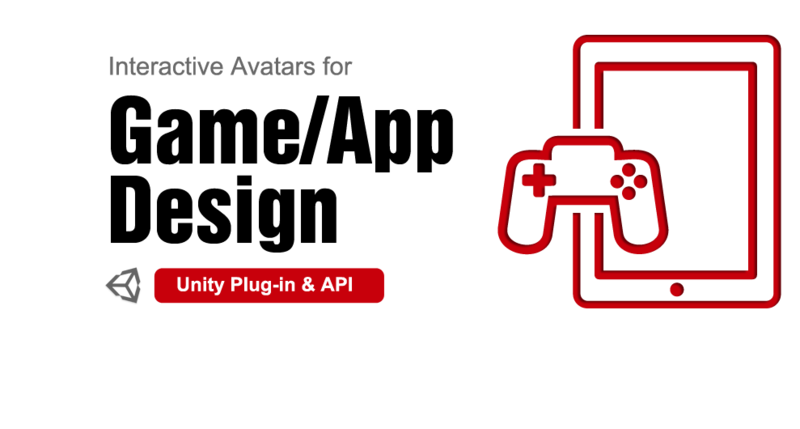 The CrazyTalk Unity Plug-in is designed for Unity app and game designers; it helps developers easily incorporate lip-sync ready, talking avatars into their apps, and provides the ability to interact with them. You can create your own unique avatars that can act as in-game guides, or enhance your apps’ user interactivity by having interactive animated 2D and 3D characters. 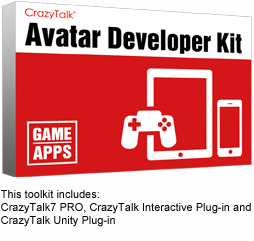 CrazyTalk Avatar Developer Kit is the 3-in-1 bundle package for any new CrazyTalk user to get everything you need with the best offer. Use speaking avatars to host your app or enhance the interactive elements in your games. You can place multiple avatars in the game scene, attach them to your 2D or 3D actors to create instant talking animation. Full design solution covers avatar creation, lip-sync animation, motion editing, Unity assets export, and Avatar API for Unity. Optimized memory size and high animation frame rate, apps designed using CrazyTalk avatar can run on all levels of Android and iOS phones. One design for all platform outputs, fully tested for PC, Mac, web browsers, and app output for iOS and Android. Hundreds of avatar and motion assets available from the Reallusion Content Store; with more from the community Marketplace. ".... There's a huge range of characters and backdrops, or you can upload your own background image to work with. You could use this to make a unique invitation to a party, or perhaps send a birthday message to a distant relative." “Character animation can be tricky but with CrazyTalk7, it has never been so easy, with tools for editing to suit your own voice for greater realism.” 9 out of 10 awarded.